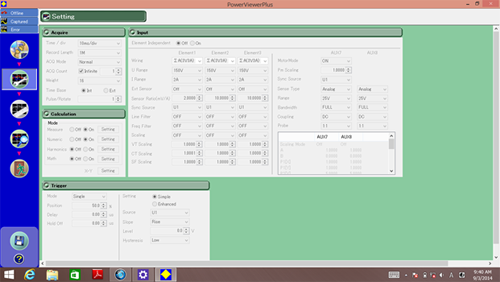 You can operate your PX8000 through your PC on the setting screen of PowerViewerPlus. 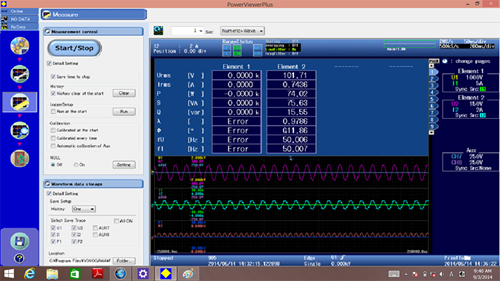 The PowerViewerPlus can monitor the screen of your PX8000. 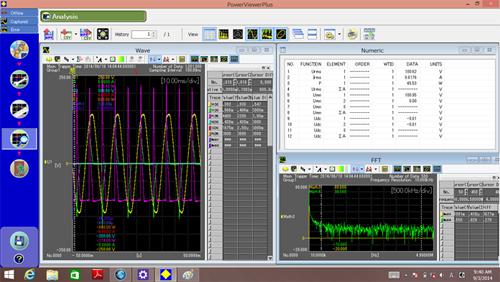 PowerViewerPlus can display the main waveform, zoom waveform, history memory, XY waveform, and measurement results. 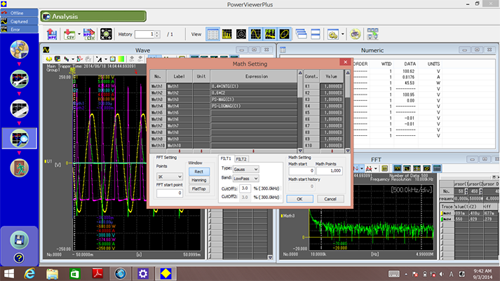 PowerViewerPlus can save PX8000 setup information as well as waveform / numeric measurement data. 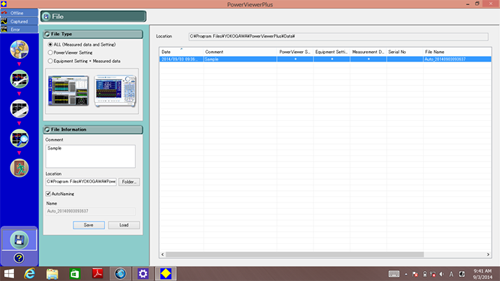 The PowerViewerPlus software can apply up to 32 MATH function expressions. 1Setup parameters cannot be saved to CSV files. 2 CSV data cannot be loaded into the software. 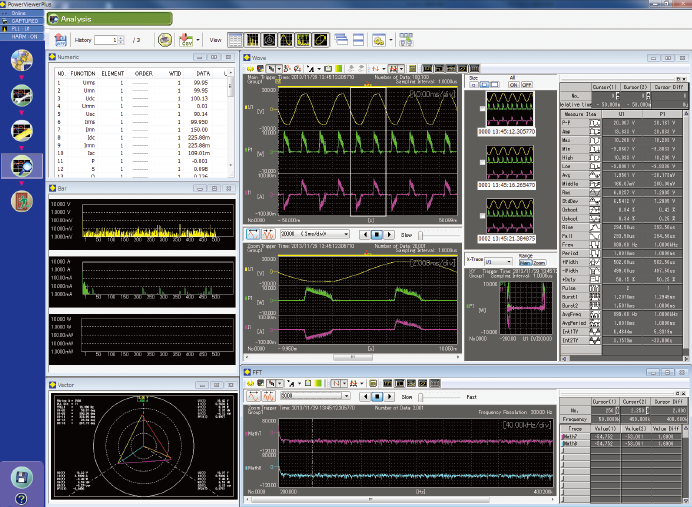 3 Harmonic measurement option must be installed on the PX8000. PX8000 with at least one power measurement element and AUX module.